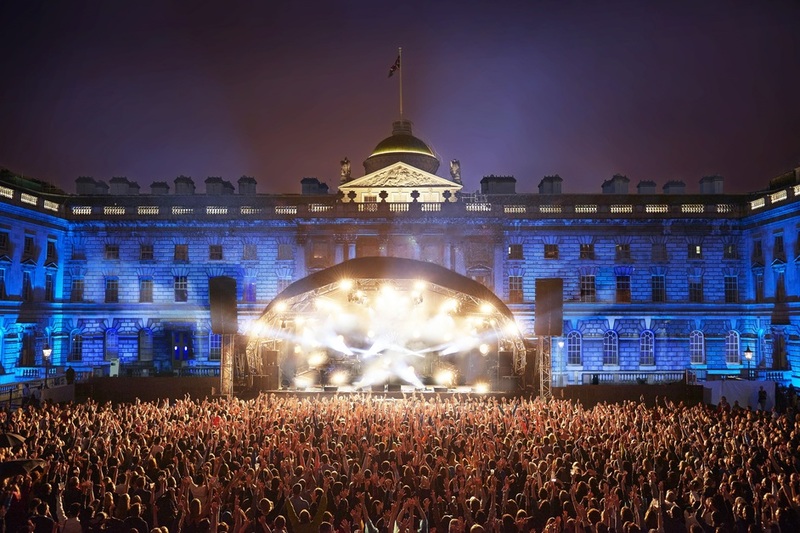 Grammy-nominated five-piece The Internet, Brit Award-nominee Nao, and Mercury Prize-nominated Sons of Kemet kick off this year's Somerset House Summer Series, performing al fresco in the grand 18th-century courtyard. One of the best Summer Music Festivals in London, the event will also see Jacob Banks, Rosalia, Doves, Parcels, and Cut Copy perform along with garage punk band Gossip, who will close the festival with the ultimate party night. Running concurrently with the eleven nights of live music will be new exhibition Get Up, Stand Up Now, which celebrates 50 years of Black creativity in Britain. Anyone who purchases tickets to Summer Series will be given an exclusive discount to the exhibition. What are the best dining options near Somerset House Summer Series London? Somerset House Summer Series gyms, sporting activities, health & beauty and fitness. The best pubs near London Somerset House Summer Series. Somerset House Summer Series clubs, bars, cabaret nights, casinos and interesting nightlife. Where to have your meeting, conference, exhibition, private dining or training course near Somerset House Summer Series.